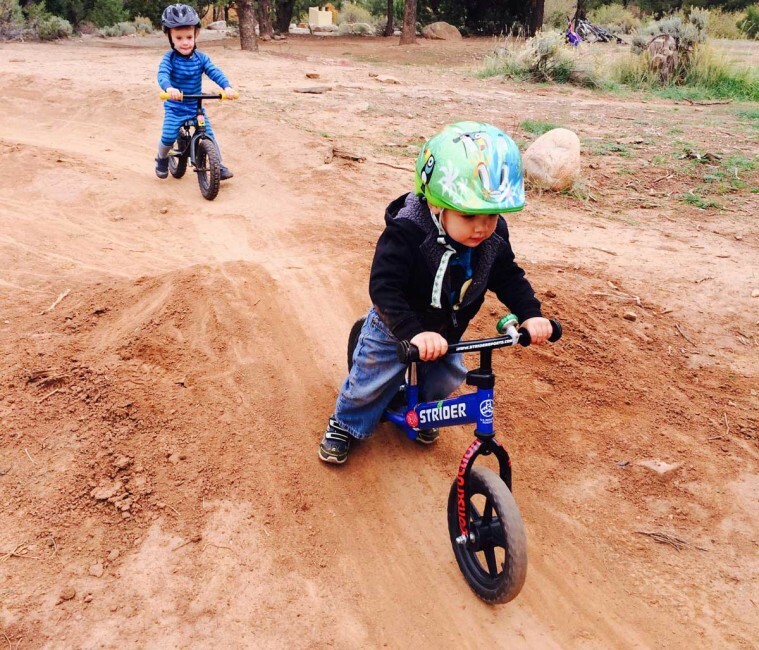 This group is for kids ages 2-4 who ride a Strider or push bike only. Parent participation may be requested for kids younger than 4. This is a 6-week long session, with practice beginning at a different location each week. Your coach will email you a schedule a week before the season starts with additional information. 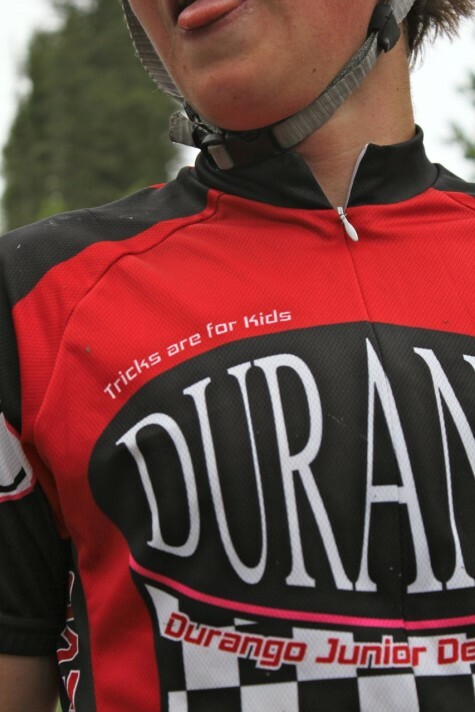 Contact Aubrey Volger (aubrey@durangodevo.com) for more information about the Push Bike groups. Below are descriptions to help you place your child in the appropriate grade level group. If you have additional questions regarding Junior Devo or placement of your child, please contact Aubrey, Junior Devo Program Manager, aubrey@durangodevo.com. Continue to scroll down to see the days and times for groups. Kids on push bikes. No pedal bikes. Kids on pedal bikes with training wheels. Kids without training wheels but still having a hard time starting stopping on their own 50% of the time. The goal is to get training wheels off so they can pedal independently. Rides a pedal bike solo. Able to start and stop on their own 50% of the time. Current IEP for autism, serious emotional disability, or other mild to moderate cognitive or developmental delays. Must be willing to provide the Coach, a licensed social worker, with your child’s behavior intervention plan for review. Child is able to verbally communicate. Must have a recommendation from a licensed social worker. If you have interest in this program, please reach out to Erica McCalden, LSW, 970.692.4104 for more information. Uses Front and Rear brake independently, or only uses one and never the other. Goals to join upper-level programs one day. Able to have faster practices with less stopping. This is for girls with intermediate/advanced skills and ladies wanting to join the U14 girls’ team. 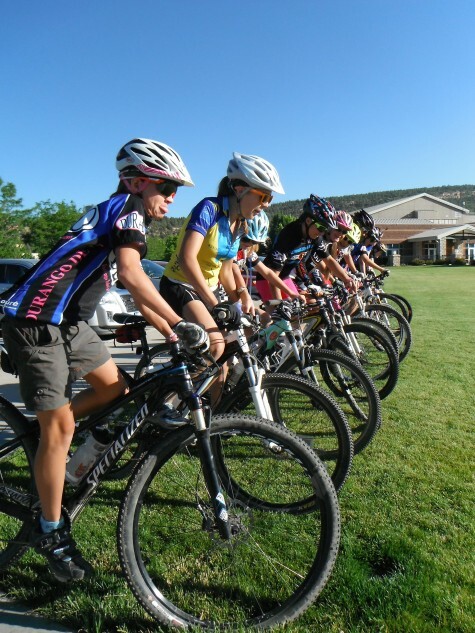 The Devo Explorers are a middle school-high school weekly program for riders looking to learn the fundamentals of mountain biking in a non-competitive environment. This is one of our fastest growing programs, and is always a blast! Contact Sarah Tescher (sarah@durangodevo.com) or Nan Cresto (nancresto@gmail.com) for more information about joining the Devo Explorers! The Ramblers group is for riders age 6th grade and up. Ramblers is for those kids who are newer to the Explorers group and don’t have as much experience camping or bikepacking. The Trailblazers group is for high schoolers or 8th graders with previous explorer experience. The Explorers All-GIRLS group is for riders who identify as female, ages 5th grade and up. The all-girls group is for girls who want to learn the skills of bikepacking with a group of incredibly rad ladies! A new Explorer program, this all-girls group for 5th-12th graders (as well as any high school new to riding) is for girls who want to use the bike as a tool for exploration. Each practice will focus on mountain bike skills as well as skills to go on a bike packing trip such as building a fire, shelter, and other fun, outdoor survival type skills as well as basic bike maintenance. This group is led by Sarah Tescher and Cara Kropp, both female Devo coaches who love empowering girls and have a passion for the outdoors. The group will go on a bike packing trip together in the Spring. Bike Packing bags and other equipment can be borrowed from Devo, but it is nice if a bike can fit a rack. ($20-$45 investment). For more information feel free to call or email Sarah at sarah@durangodevo.com or 970-779-8480. The goal of the Explorers program is to learn how to use bikes as tools for exploring and self-sufficiency (touring, commuting, bike building,etc). Each session ends with a self supported camping/touring trip the heart of the Southwest. There is a Spring Session, and a Fall session. Each rider is responsible to get their bikes ready for the Explorer trip. Depending upon the bike and gear availability, a rack and panniers may need to be purchased. Durango Cyclery and Pine Needle Mountaineering sponsor the Devo explorers and give discounts to Explorers riders. Spring: Top Secret Training Camp! Summer: summer trip plus more options for racing! Fall: the U14 Fall adventure trip! 2nd Avenue Sports gives the U14 and U19 teams discounts for all riders on the teams. Contact Chad Cheeney (chad@durangodevo.com) for more information! The Devo Flyers group is for competent riders aged 6th-12th grade.Riders in 6th or 7th grade will need to talk to a coach to see if the program is fitting. The Flyers focus on gravity oriented bike sports and learn the ins and outs of Enduro, DH, dirt-jumping, and more. This group is all about big air, big tires, and having fun in the down-hill direction! Contact Rob Nichols (rnichols656@gmail.com) for more information! The Devo U19 program is for high school aged riders who are very comfortable on their bikes, with some technical skills and fitness to keep up on long rides. The program is 2 days a week. 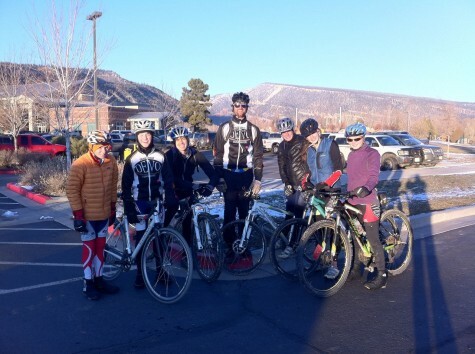 During the Fall U19 riders participate in the Colorado NICA High School League. The program will follow a skills-and-thrills based approach to weekly rides and will teach how to have a good healthy time on a mountain bike. Team camaraderie, teamwork, and life skills are the bread and butter of this program. The Team will road trip to several ride weekends/races throughout the season. However, racing is not mandatory. The “new” Devo Race Program (DPR) is an additional 1 day per week add-on to the U19 program. DRP is for motivated riders looking to train for specific racing goals. DRP will receive extra benefits in recovery, injury prevention, and race nutrition from Mercy Sports Medicine, CrossFit Catacombs, and Tailwind Nutrition. This is an add-on program that will meet Wednesdays and some Saturdays (depending on race schedules) from March-July. Practices will start and finish at different places each week and riders will need to be able to get from school to trailheads around town. Coach Chad will lead up this new program and the main goal is to give any Devo rider the chance to learn race skills and train specifically for their racing goals. All U19 riders have the option to add on the DRP practices. The practice days will reflect the group’s goals towards the local, regional and national events. Short Tracks, hill climbs, time trials, skills instruction, race simulation will be offered, plus much more. DRP athletes will also receive comprehensive race support and individualized training schedules if requested. Coach Chad recommends this program for any traditional 3 days per week U19er looking to improve their race craft or wanting a more guided spring/summer race season. He also recommends doing the 2-day U19 programming as well to provide the best weekly riding habits. Contact Devo Head Coach Chad@durangodevo.com if you have questions. The Devo Cross team is open to all levels of rider to learn the sport of Cyclocross. This group meets 2x/week during November and December. The team races in the local Cyclocross series and may take a trip to the USAC Cyclocross National Championships (racing is not mandatory to participate). Skill development is at the heart of this program as riding in the snow, mud, and sleet is good skill development for all cycling disciplines. Riders are not required to have a cross bike, but we highly recommend it as mountain bikes can get worn down quickly in the adverse condition of cyclocross. Contact Chad Cheeney (chad@durangodevo.com) for more information. Back by popular demand! Devo is offering a ride for Devo’s fabulous moms, led by one of our coaches to learn skills and have fun with each other! This group is for advanced beginners to upper intermediate and above riders. If you can ride up horse gulch road to the meadow no-problem, then you can ride with this group. If you like to ride your bike, but just want to learn more skills and hang with the ladies, this group is for you! Coach Bri is back for another season and we can’t wait! Contact Aubrey at aubrey@durangodevo.com for more information! Devo coaches will lead rides and serve as your kid’s camp counselor all day. Groups: Kids will be placed in groups based on ability (beg/int/adv.) Camp activities include special guest appearances, gravity skill sessions, bike fit, and trail building. Registration fee includes 5:1 coaching both in the Purgatory Bike Park and on the mountain utilizing the chairlift. This year Devo will be utilizing some new lift-accessed terrain, courtesy of Purg’s new push to expand it’s MTB trail options! Camp times are: 9:00-3:00pm. 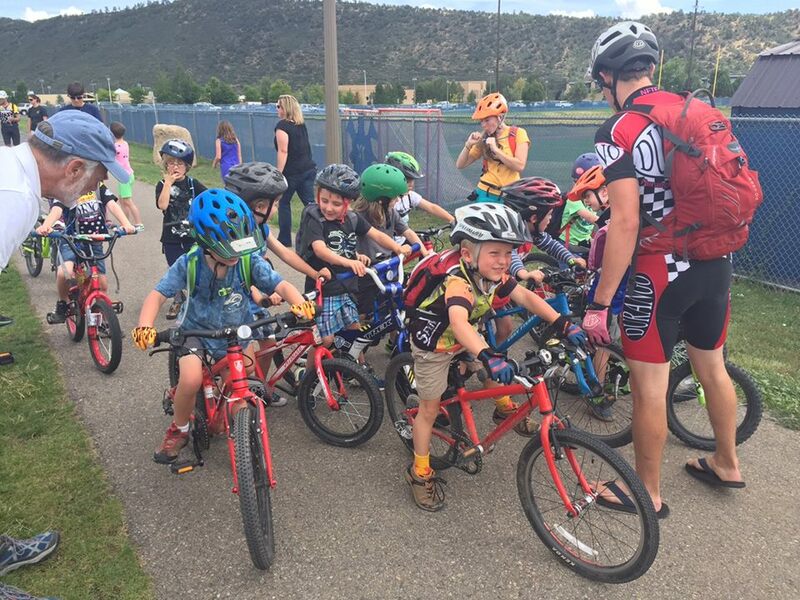 Devo coaches will pick up kids just before 9:00 am in town at the Durango Rec Center front parking lot (look for the Devo vans), then travel north and pick up if necessary in Hermosa at 9:15 in the PJ’s Parking lot at Trimble Lane. Drop drop off at 3:30 PJ’s Parking lot at Trimble lane and 3:45 in town at the Durango Rec Center front parking lot. Devo coaches will be in the vans with the kids. The Purgatory Gravity Camp will focus on Enduro, Downhill, and Dirt Jumping, so it is best of an intermediate/advanced rider. Lift tickets are included, and the Gravity Campers will have the opportunity to session some of Purgatory’s newly-built trail offerings. These camps are a blast, and everyone comes home with a grin! Like biking? Like science? We have your dream camp! Devo’s Cyclin’ Science Camps are week-long camps combining mountain bike exploration in the mornings, and bike-related hands-on science at the Powerhouse each afternoon! In the afternoon lab portion, kids will explore topics including anatomy and physiology, nutrition, bike engineering and simple machines, physics of biking, and more. One thing’s for sure: your kids will sleep well after each day of this camp! Check out the things happening at the Power House Science center, here! New this year, Devo is partnering with Seed Studio of Durango to combine art, yoga, and hands-on outdoor nature activities with fun on bikes! These week-long camps will consist of an MTB adventure led by Devo certified coaches in the morning. Then in the afternoon, Seed Studios will offer a wide range of project topics and supplies that will spark kids’ creativity & expose them to a stimulating mix of age-appropriate art techniques each day. Check out the things happening at Seed Studios, here! The Preschool Summer Camp is for ages 4-5, but is limited to kids who can comfortably ride a pedal bike (no pushbikes allowed for this one). Practice locations will vary day-by-day, but practices will focus on building skills in a safe, fun, and entertaining environment. Those that love our regular Spring preschool programs will want to register for this early! There are a limited number of spots available, and camps fill up fast! The U14 summer camp is for middle school age kids interested in continuing to build skills and begin to pursue racing, though racing is not mandatory. Promoting the sport in a fun environment and learning skills is still the overall goal of U14, but some specific training is involved. The summer season will be a 2-week camp which will culminate in an epic, out-of-town trip. Riders will also have the option to travel to a few races along the way. The group will be co-ed and limited to 20 riders. Each day will focus on a skill and a trail. We will incorporate polo, bike maintenance, short tracks, time trails, and lots of skills! Riders must have at least one season of U14 already under their belt.